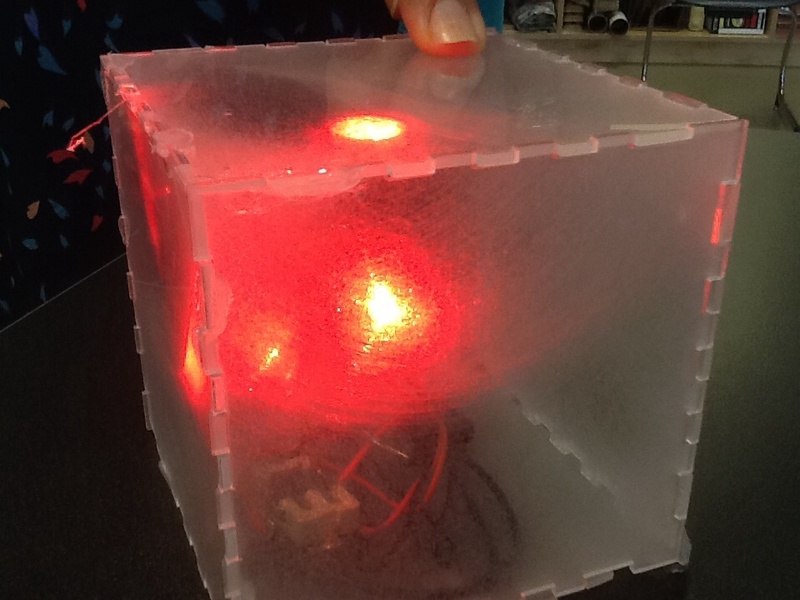 I just finished my light cube! It has two red led lights that are turned on and off by a switch that is glued on to a removable bottom. 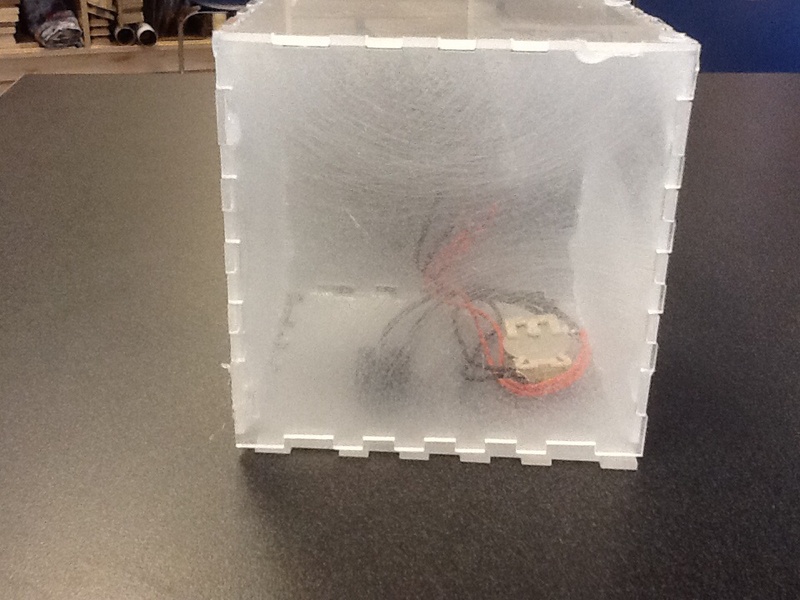 The cube has been designed online, laser cut, and then glued together. Then I sanded the sides to give it a frosty look. After, I learned how to solder which melts metal and is used to connect wires so electricity can flow through them. After doing my first test I came to a problem the led's I had chosen didn't work when together so I was only able to use the red lights. Finally, I glued the battery and switch to the bottom of the cube. I am so excited to of completed my creators studio project! It was such a unique experiment that I hope at my new school I can do something like it again! 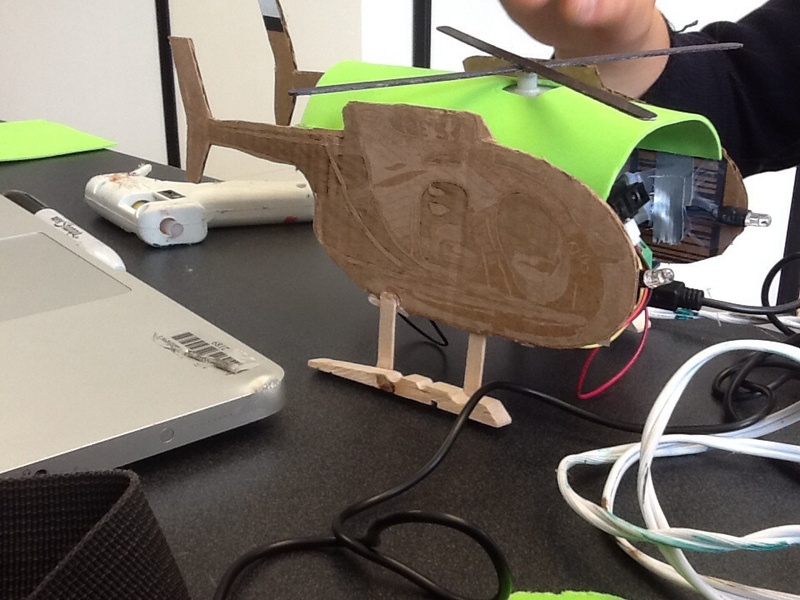 me and my friend have been working in a helicopter with the program hummingbird. The helicopter propeller spins and when it senses close motion it blinks rapidly red. When there is motion far away it blinks slower blue. Next time I wouldn't do anything differently however I would spend more time programming it to make it more interesting and complex. If more time was permitted i would like to program it to move around and attach weels. This week in creators studio I made a luggage tag. I used geometric shapes put together and put text over it that said my last name, Wiegand. I used a program called tinkercat to design it, and I'm going to 3D print it so I can use it. I want to make a Sphero. A sphero is a ball that responds to coding. I am interesting in building it so I can work with code and mechanics. Although this is a complex prodject I am ready for a challenge! I will need LED lights a sphere, computor, wires, and a mouse. I also want to learn more about coding an through making sphero I hope to build a solid understanding.